An NSX for $156,000 looks like a good deal when you see what the Japanese are paying. Honda just announced that it was going to begin offering the new NSX in Japan. The reason why it took so long for the hybrid sports car to make it to the Land of the Rising Sun might be due to the fact that it's technically an import. 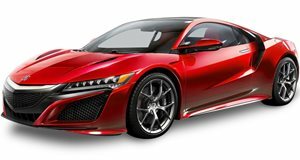 The NSX sold in Japan will be no different than the car offered to Americans with the exception of its price. Japanese drivers are being asked to pay 23.7 million yen, which is about $235,000. In America the NSX starts at $156,000. Part of that increased price is due to an 8% gas guzzler tax the NSX has been slapped with. That adds an extra $18,800 to the price. Aside from the tax we’re guessing the reason why the new NSX costs so much in Japan is because of its import status…and because people will buy it irrespective of how much it starts for over in the US. Fortunately the Japanese are not alone when it comes to having to pay a premium for Acura’s new flagship. Australians are being asked to pony up $316,581 for the hybrid sports car. There's a price to pay for all of those big V8s and utes, Aussies. While Americans often whine about the cars we don’t get perhaps it’s better if those vehicles stay forbidden fruit. These worldwide price hikes have got us just a bit spooked. Dealerships in Japan are taking applications for the car now with deliveries set to begin in February of 2017. No word on how the application process will go but we suspect that quite a few people will flip their cars sooner rather than later. We don’t even want to think of how much an NSX will go for in a private party sale in Japan.